Supreme Court delivers major retail victory! U.S. Supreme Court building in Washington DC. After 26 years and 37 states passing Main Street Fairness laws, the U.S. Supreme Court ruled 5-4 yesterday allows states to require online, out-of-state sellers to collect sales tax the same as local stores. The ruling is a huge win for retailers. It puts all retailers on a level playing field and brings commerce into the 21st century. In its decision, the Supreme Court upheld South Dakota’s law requiring out-of-state sellers collect South Dakota’s sales tax. The court said that the physical presence test (a requirement that businesses collect taxes if it has a substantial physical presence in the state) is not necessary and a virtual presence is enough. The court also found that previous court cases created, rather than resolved, market distortions. We need some clarification on whether or not states will be able to require online sellers to collect and remit sales taxes without first updating state laws. Michigan’s current sales and use tax acts require the collection of sales taxes by sellers that have a physical presence in Michigan. While MRA successfully expanded what types of activities gave a business physical presence, a physical presence standard is still the law. With the court’s favorable ruling, the state will need to determine whether or not legislative action is required to force all out-of-state businesses to collect sales taxes. We suspect a legislative change will be necessary to update the reference to physical presence and have already had conversations with lawmakers. Tax rate – Federal legislation has considered simplifying multiple tax rates to set an average state tax rate that would be remitted to the state rather than each jurisdiction. Taxable items – Many states tax different items in different ways. While 23 states, including Michigan, voluntarily comply with the Streamlined Sales and Use Tax Agreement, 22 do not. Audit liability – Can and should every taxing jurisdiction audit any and every business collecting taxes? Remittance schedule – Each state and local taxing jurisdiction have different rules on how often and when taxes must be remitted. Where the sale “occurs” – Since sales and use taxes are based on use and fund schools and local governments, we believe customers should pay the same state/local taxes for products delivered to their door that they would for products they buy in a store around the corner from home However, Congress may try to address whether the sale occurs where the product originates (shipped from location) rather than the destination (shipped to location). Providing free software to sellers – Congress has also considered requiring states to offer sellers free software to sellers that will collect its sales tax. Exemptions – While we would argue that traditional brick and mortar retailers and those currently collecting sales taxes don’t get any exemptions – they’re required to collect on the first dollar they bring in – Congress has been sympathetic to smaller businesses asking for a certain dollar threshold exemption in the past. The retail victory in Wayfair v. South Dakota overturns previous landmark decisions Quill v. North Dakota 504 U. S. 298 (1992) and National Bellas Hess, Inc. v. Department of Revenue of Ill., 386 U. S. 753 (1967). 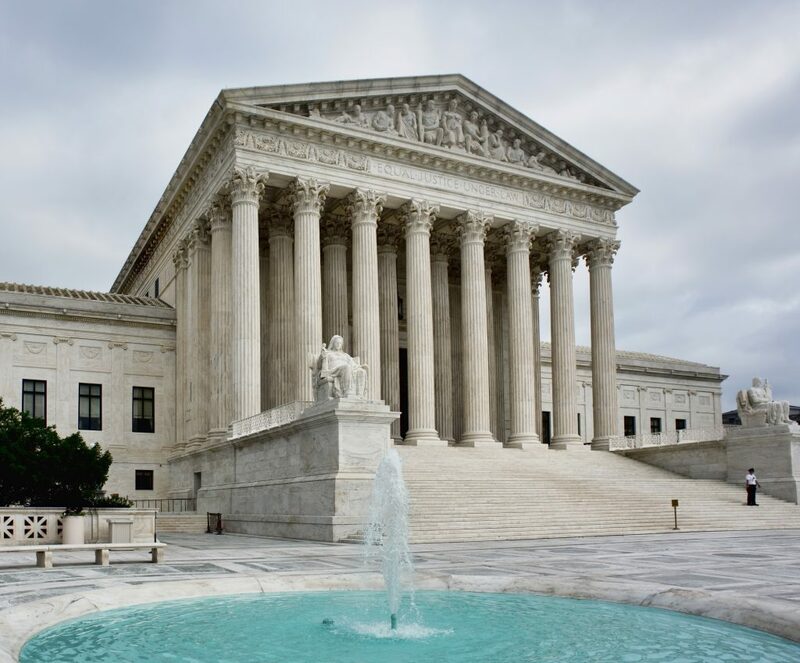 The Supreme Court ruled South Dakota’s law did not violate the U. S. Constitution’s Commerce Clause since it does not discriminate or cause undue burdens on interstate commerce. South Dakota’s law passed the Commerce Clause test by setting a sales threshold, not going after retroactive taxes, providing access to sales tax software paid for by the state, providing immunity for sellers using the state’s provided sales tax and because South Dakota is one of the 23 states that have adopted the Streamlined Sales and Use Tax Agreement (SSUTA). SSUTA standardizes taxes to reduce administrative and compliance costs. It requires a single, state level tax administration, uniform definitions of products and services, simplified tax rate structures, and other uniform rules. We’ve pulled out several interesting excerpts from the decision and included them below.